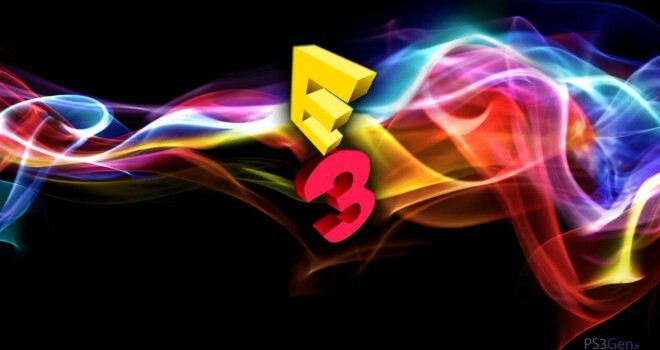 Full E3 2013 Schedule – Don’t Miss a Thing! 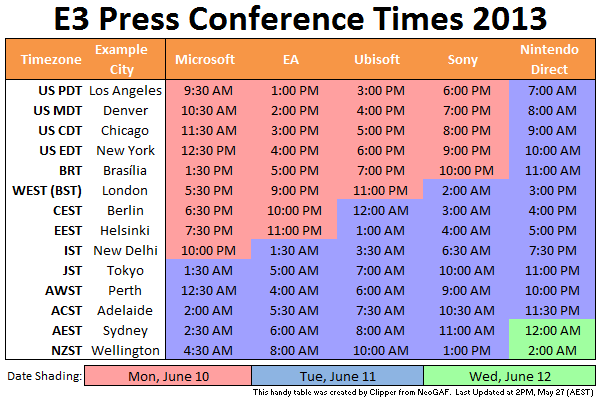 Still don’t know when the full E3 2013 schedule? Thankfully, I will be able to catch all of these. 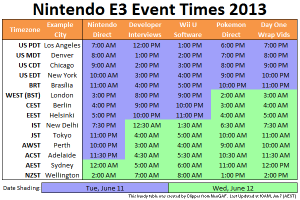 A full day of Nintendo content. So which conferences are you looking forward to the most? Which ones will you be able to catch, if any at all? 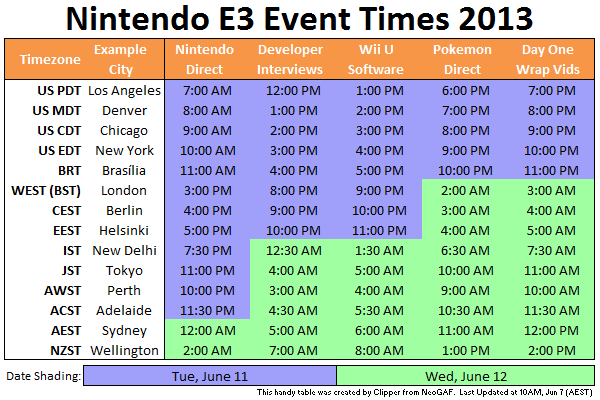 For me, personally, I’m looking forward toward Nintendo’s the most not only because I am a Nintendo fan but also because I’m anxious to see how strong their E3 presence can be without a traditional conference. 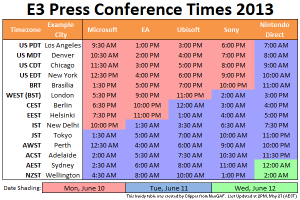 I am also very anxious to see Microsoft’s conference due to the fact that they have to absolutely deliver this year, bombs and all, no questions asked. You will be able to catch all of the conferences and presentations at various places such as IGN.